The Hendon Mob states that the four-time World Poker Tour (WPT) Main Event champion has earned more than $7.1m playing live tournaments. Those numbers are gross earnings, so the entirety of that payload hasn’t passed through his hands, but you imagine he has enough to live a comfortable life. It’s a thought that seems to have gone through the mind of Shannon Soroka. 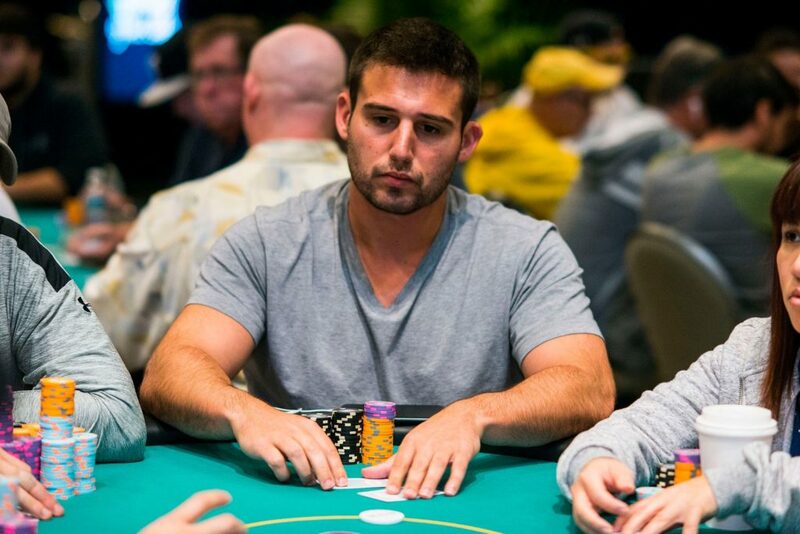 Soroka is a 24-year-old from Philadelphia who plays poker amongst other less savoury things that he gets up to in life. On Thursday, Soroka knocked on the door of Elias’s New Jersey home, and when a young girl answered it, he produced a gun and forced his way into the house. Elias and his wife weren’t home, and the young girl was their 19-year-old babysitter hired to care for their two-year-old child. Reports in nbcphiladelphia.com declare that Soroka thrust the gun into the back of the young babysitter and marched her around the house searching for money and valuables before leaving her in the bathroom. Soroka didn’t physically harm either the babysitter nor Elias’s child during the robbery, and it’s unclear whether Soroka managed to leave with his booty. What we do know is that the babysitter dialled 911, and local police picked up Soroka after identifying him via surveillance camera footage that caught him entering the Elias home. Somewhat disturbingly, Elias told NBC10 that his house had been a target twice in a week. Soroka is currently eating porridge in Burlington County Jail, Mount Holly, New Jersey, after a local judge charged him with robbery, aggravated assault, making terroristic threats, unlawful possession of a weapon, criminal mischief and a variety of other crimes. It’s a reminder for high stakes poker players to remain vigilant, and to have adequate security in place. In 2011, thugs broke into the Canadian home of the former World Series of Poker (WSOP) Main Event Champion, Jonathan Duhamel, where they tied him up, beat and robbed him. Within 12-months, Duhamel’s former PokerStars Team Pro colleague, Theo Jorgensen was attacked, robbed, and shot in the leg at his home in Denmark. It’s a black stain on what’s been a cracking start of the year for the WPT record-breaker. At the turn of the year, Elias won a small-field $25,000 High Roller at the WPT Gardens Poker Championships for $192,500, and earlier this month Elias finished third in the $10,000 WPT LAPC Main Event for $473,280. In the build-up to the LAPC, Elias paid a visit to his old haunt: The University of Redlands where he spoke to students of his former mentor Dr Fred Rabinowitz. Elias claims that Rabinowitz was a significant influence on his career, advising him to switch majors so he could continue to play poker in the night, and take creative writing classes in the afternoon. Elias has said that he will one day make use of that creative writing degree by writing a book, giving him the opportunity to turn a bitter experience into something worthy of note.